Good news, kind of. TiVo has just announced that their networked Series 3 and TiVo HD subscribers will be getting YouTube access through their boxes sometime "later this year." While new media features are always a plus, TiVo's more recent advanced service offerings (like Rhapsody integration) have been a bit buggy. Here's hoping YouTube rolls out smoothly. 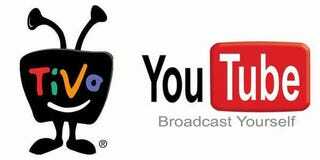 ALVISO, Calif., March 12 /PRNewswire-FirstCall/ — TiVo Inc. (Nasdaq: TIVO), the creator of and a leader in television services for digital video recorders (DVRs), today announced an agreement with YouTube(TM) that will offer access to YouTube videos directly from the TV via a TiVo DVR. The service will be available later this year to broadband-connected subscribers with TiVo Series3(TM) DVRs, including the new TiVo HD. to the TiVo subscriber base using one device, one remote and one user interface is another major step in our commitment to combine all of your television and web video viewing options in one easy to use service."